David Bowie passed away, it brought back a lot of memories when I watched that headline appear on google this morning. I’m not an expert, but I would like to offer some words. 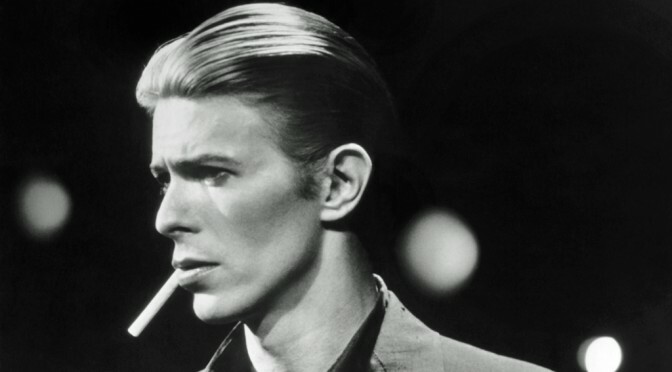 If you’d ask me to name the 10 best artists of the last 50 years or so, I’d probably name a bunch that worked with Bowie, but I wouldn’t mention Bowie. For some reason he’s out there, all on his own, on a different level in the music universe. A place now vacant and I believe it’ll remain vacant for a long, long time. There is no artist like Bowie, no person who does music, art, films and making yourself such an immersed, integral part of your work. When the CD was on the rise, my parents ditched their vinyl. Like many people they believed that time was over. What they kept was Bowie and Pink Floyd (and some miscalleanious stuff, like chart singles with Black Sabbath, but that was something I found much later). I enjoyed hearing the vinyls as a kid, so my mom probably told me Bowie was good and I believed her. I still bellieve most of the stuff my mom tells me. My dad never told me Pink Floyd was good, but years later I told him. He agreed. So my mom would spin them old Bowie records, like ‘Low’, ‘The Rise and Fall of Ziggy Stardust and the Spiders from Mars’, ‘Hunky Dory’, ‘Diamond Dogs’ and ‘Station To Station’. I still get the chills from that opening riff of ‘Ziggy Stardust’. This music stuck with me throughout my life. I think the music also stuck with my brothers and my mom still buys the Bowie albums now and then. While we listened to those records we invented worlds with Lego’s, and rewrote history in board games. We passed our time together playing, thinking or reading. I’m sad that Bowie is gone, but it also did make me think of those autumn holidays with my mom and my brothers, with Bowie singing in the background. I miss those terribly sometimes.